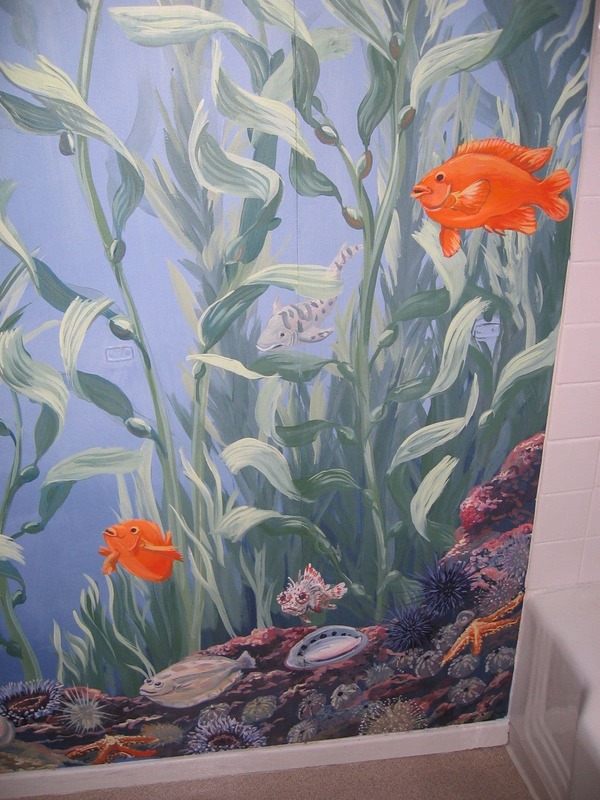 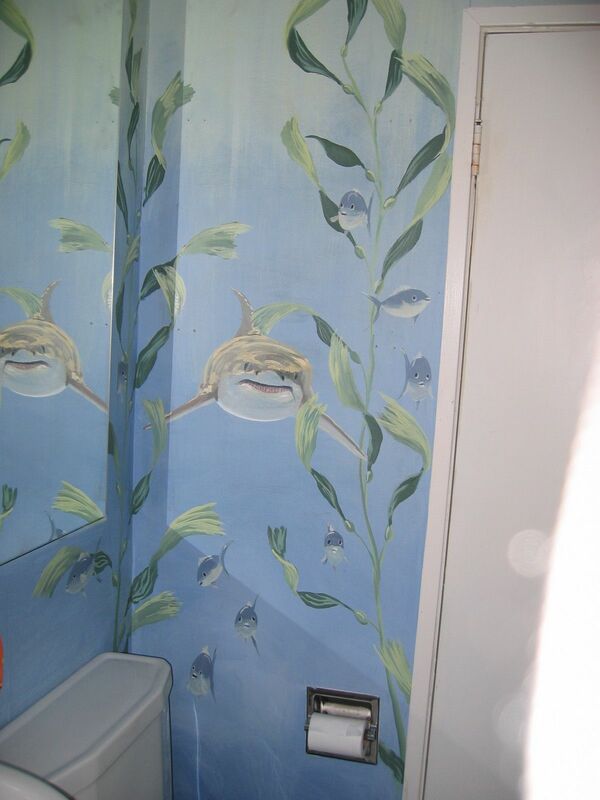 This client was an avid snorkeler and had me paint two bathrooms in her house: one with California coast species and one with the habitat and fish of the Florida coast. 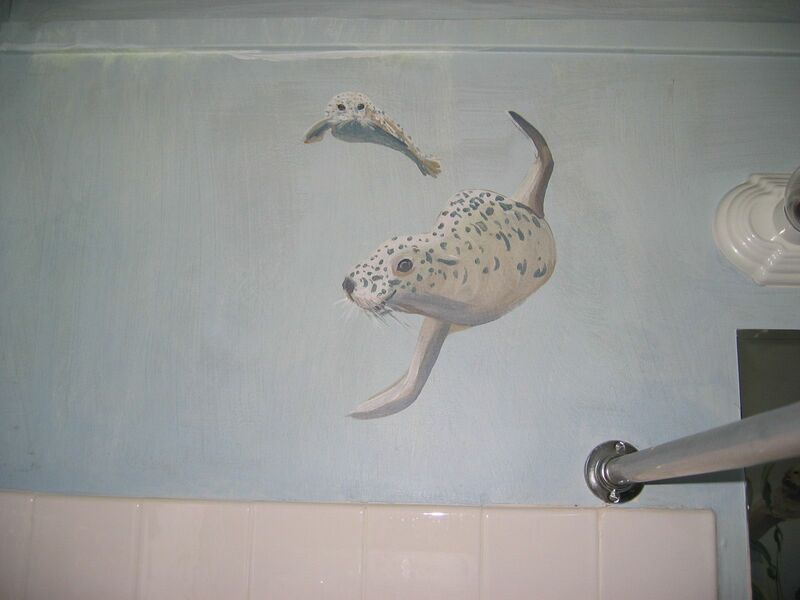 She gave me lots of research guides with lists of her favorite species from her dives to paint from. 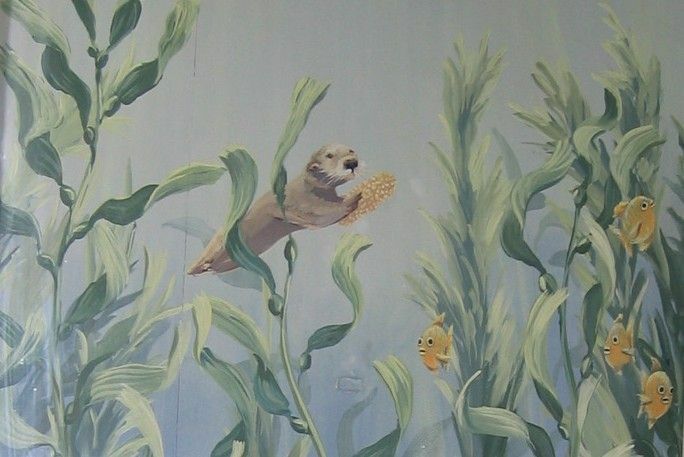 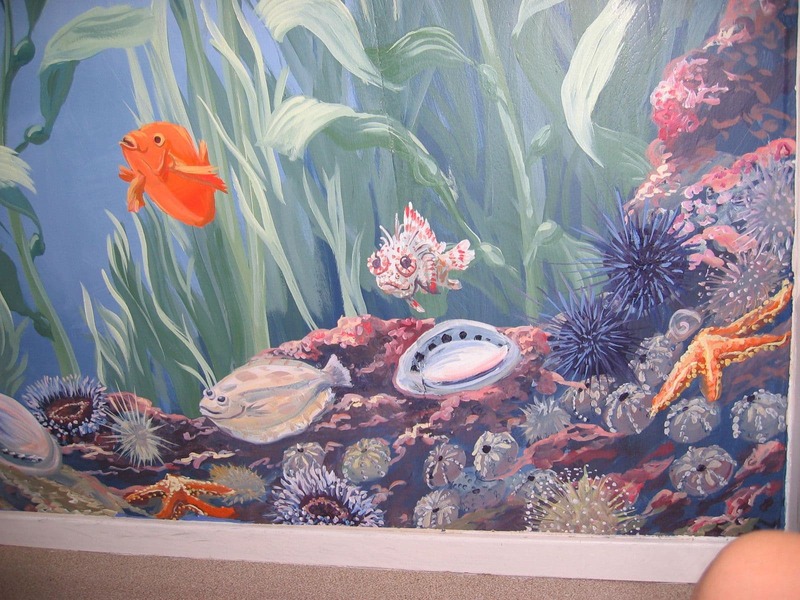 It was very educational for me since I often just paint the “greatest hits” of ocean life for my children’s murals.